Dear friends, today on 21 October 2011, one year anniversary of the European Court of Human Rights verdict in the case of illegality of Moscow Pride bans I decided to resign from the positions of the head of Russian LGBT Human Rights Project GayRussia.Ru and head of Moscow Pride Organizing Committee. 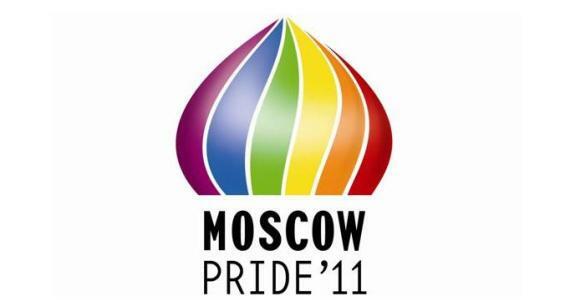 From midnight 21 October 2011 in Moscow and up to the decision on the new leadership Project GayRussia.Ru will be headed by Nikolay Baev and Moscow Pride Organizing Committee by Alexander Naumchik. Earlier I wrote a big text with the explanations on why I took this decision but I finally decided not to publish it. I wish success to everyone! I did all I could! Do it better! A number of things are striking about this, but none more than the precision about the exact instant of the transfer of power; as though all the followers of Project GayRussia.ru and Moscow Pride Organizing Committee (there are around three) were bound by blood and oath to obey any ukase from Alexeyev until 11:59:59 (“Immolate yourselves! Bomb the Kremlin! Give 100 rubles to the babushka who cleans the stairs”), but after that were tied by unbreakable allegiance to any orders from Baev or Naumchik (“Immolate Alexeyev! Give 100 rubles to the Kremlin! Bomb the babushka who cleans the stairs”). It would seem that Alexeyev wanted to keep the power to launch the missiles until the last possible moment, in case his manifold enemies misbehaved, after which Naumchik and Baev could place their fingers on the fated button. It’s all remniscent of the ceremonials surrounding the death or abdication of a tsar (the king may die, but as we all know, the king never dies), or the formalities that accompanied the end of the Soviet Union on December 25, 1991: in the transit of a second-hand, Gorbachev gave way to Yeltsin, the USSR to Russia, autocracy to plutocracy, the same to the same, and the rest. This perhaps suggests how Alexeyev imagines himself: as a grand player in a world where his two or three followers are magnified to hundreds of millions, shifted from flag to flag in the course of a great geopolitical game. The greatest strength of the LGBT rights movement vis-a-vis our opponents may be that we are in fact all crazy, hence impervious to any opposition. But at the same time, because we are all crazy and therefore unable to distinguish motion from stasis, in the strict sense we don’t really have a movement at all. This entry was posted in Human Rights and tagged Alexeyev, gay rights, Mikhail Gorbachev, Moscow, Moscow Pride, Project GayRussia.Ru, Russia, Soviet Union by scottlong1980. Bookmark the permalink.